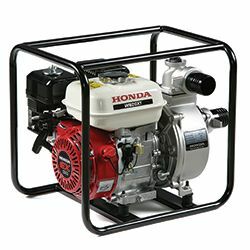 Powered by a GX160 Honda engine, these water pumps produce exceptionally high pressure ideal for sprinkling, jetting and fire fighting applications. 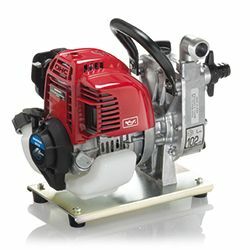 These pumps are lightweight for easy transfer between applications, the unique 360° lubrication system allows complete operation at any angle. 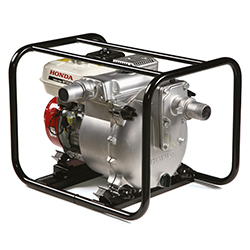 This range of trash pumps contain Honda's unique Optimized Impeller, this minimises energy loss and increases performance - ideal for construction applications. 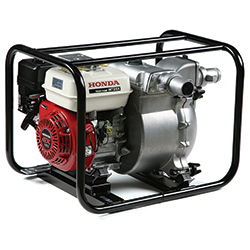 These are the ideal pump for taking on demanding jobs where suspended debris is required to flow through the pump without causing clogging or damage.